Contrary to what white America claims, there is not a “war on Christians.” If you look at the stats, it is not white Christians who are victims of hate crimes and discrimination. 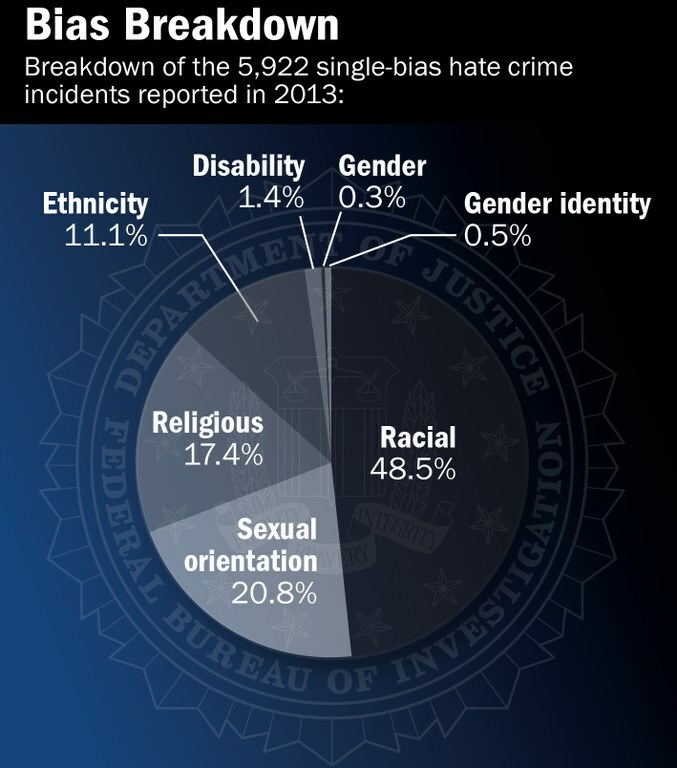 Anti-gay violence is the second most commonly occurring type of hate crime in the United States. Contrary to the right wing narrative that Christians are under attack by the gays, the list of violent crimes committed against the LGBT community speaks for itself. Where are the incidents of gays attacking Christians? They do not exist. The third most common type of religiously motivated attacks in the US consists of attacks against people who practice a religion other than Christianity, Judaism, or Islam. The victims might be Buddhist, Hindu, or practice some other religion that doesn’t have enough followers in the US to warrant a category of its own. In spite of the fact that only about 2 percent of the population practices a faith other than the “big three,” attacks against these people make up about 11-and-a-half percent of all religiously motivated hate crimes. Read more about this sobering study at Addicting Info. Tags: hate crimes. Bookmark the permalink.